Illumination on ice best describes the contemporary Frost collection. Exquisitely designed clear/white glass cylinders, accented by Polished Chrome ring spacers, delivers on the promise of chic. With each light individually hung, this fixture provides illumination from each lamp for high-key drama that is perfect for kitchen utility or dining elegance. 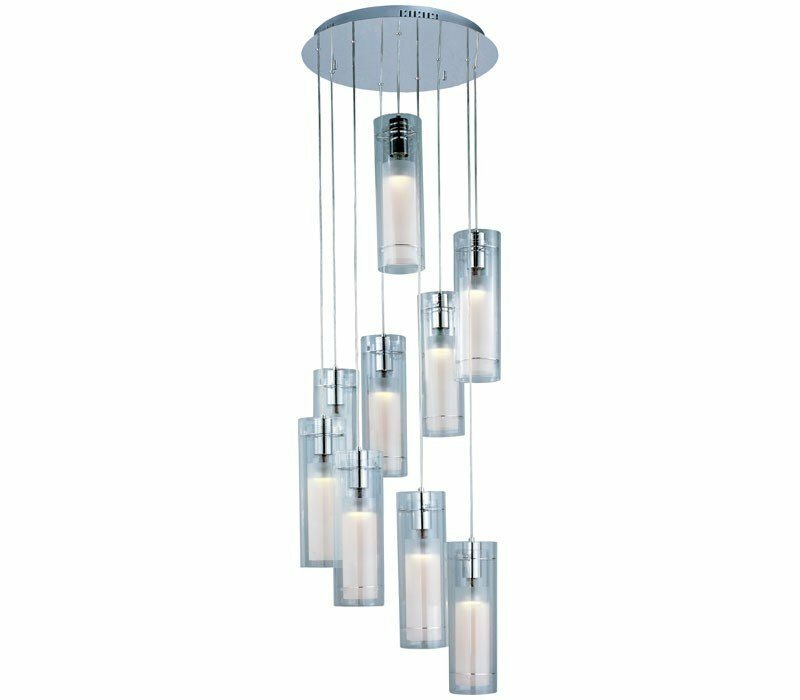 The ET2 E22204-10 Frost collection Pendant Lighting in Polished Chrome uses Halogen light output and brings Modern style. This item is 15"H x 19"W x 19"L. The wattage is 50. The ET2 E22204-10 requires 9 bulbs (not included). Additional Information: Shade-Clear/White.